Working range of up to 32 feet ! Just plug the USB receiver and start using the keypad. No drivers needed. A high-quality, popular wireless keypad. This days, wireless keypads are very popular. Many people use them – especially those that edit financial documents everyday. This keypads can save you a lot of time . And you know whay they say – time is money ! 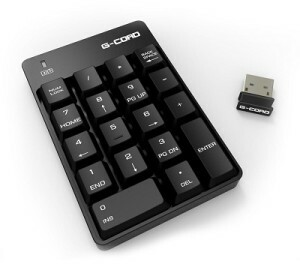 The G-Cord Wireless Numeric Keypad is not very expensive – it costs about $20. Compared to other wireless keypads – that’s actually very cheap. 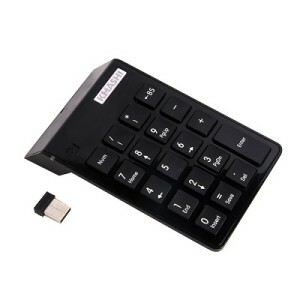 The G-Cord Wireless Numeric Keypad works perfectly without any lags. It even does not require any drivers- just connect it to your computer and start using it ! That’s a big advantage. 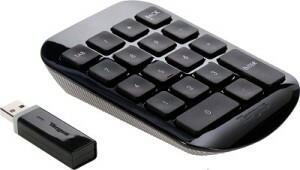 You can carry and use this wirless keypad on any computer you would like.